Video recipe - it is well known that we danes have a hampering for danish pastry. Even our breakfast bread is often made from this. 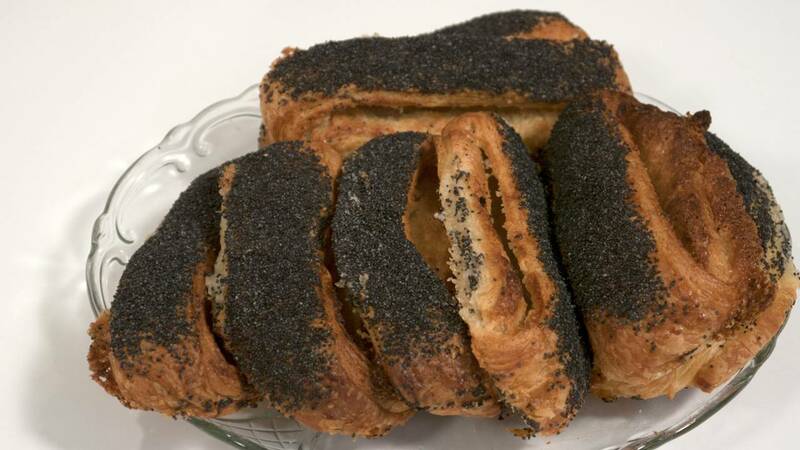 There is the classic "poppy" (birkes) that is a non sweet danish pastry with a load of poppy seed on top. Hence the name. 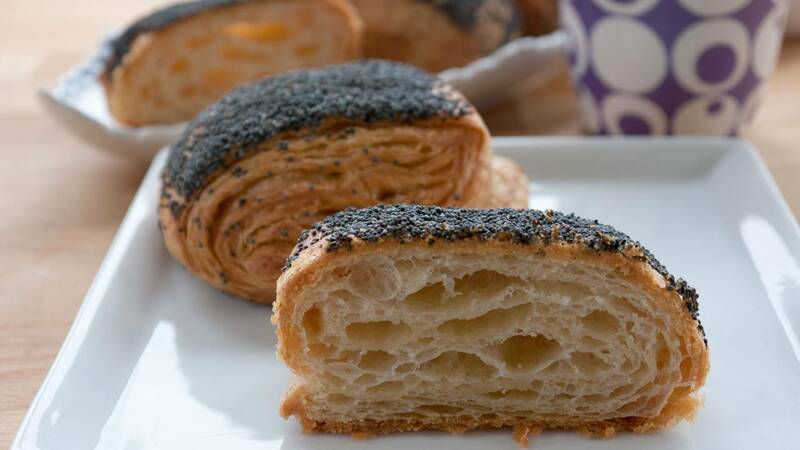 And there is the "copenhagen poppy / tea poppy" where the pastry is a bit sweeter and there is almond remonce for filling. It is not quite a cake and not quite a breakfast roll. But very good none the less. 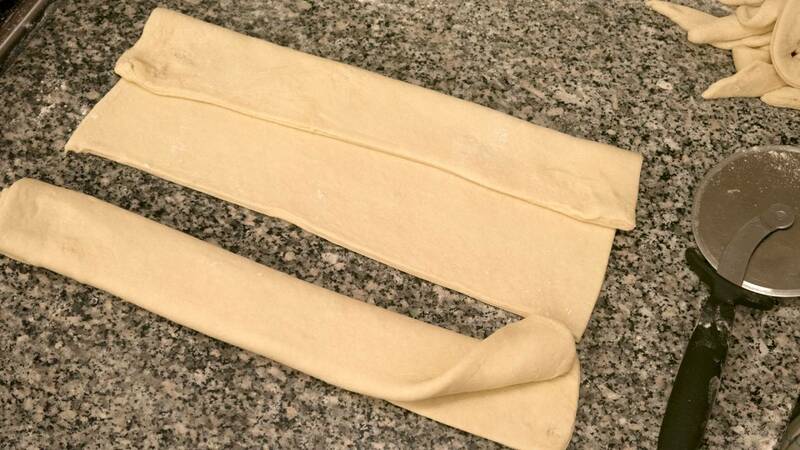 Roll the pastry dough into a 16" x 16" (40 cm x 40 cm) plate of approx. 1/4" (½ cm) thickness. Trim the edges so that you get a nice square. Cut the dough into 2 equal size halves. Put the remonce on 2/3 of the dough, lengthwise. Fold the 1/3 without remonce over the middle 1/3. Fold the last 1/3 over the other two. For a total of 3 layers of dough. Across the fold, roll it out to a 40-60 cm wide plate with your cake roll. Depending on how high and wide you wish your poppies to be. If they are too narrow and high, they will collapse during baking, as mine does in the video. In the video I roll out to 40 cm. Cut 6-8 in equal pieces. Let them rise for ½ -1 hour until they double in size. 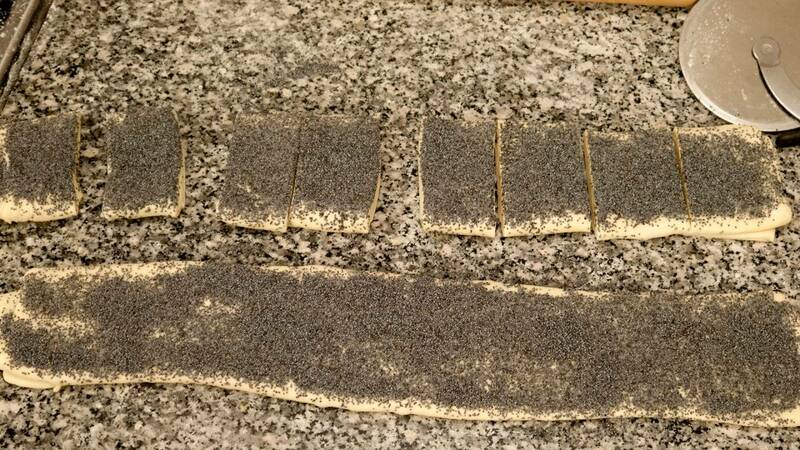 Brush with egg wash and sprinkle on the poppy seeds. no remonce - which is the biggest difference. Fold each of the 2 pastry halfs in 3 on the short edge. Cut it in 8 pieces with a pizza wheel or a sharp knife. Each should become about the size of a breakfast roll. 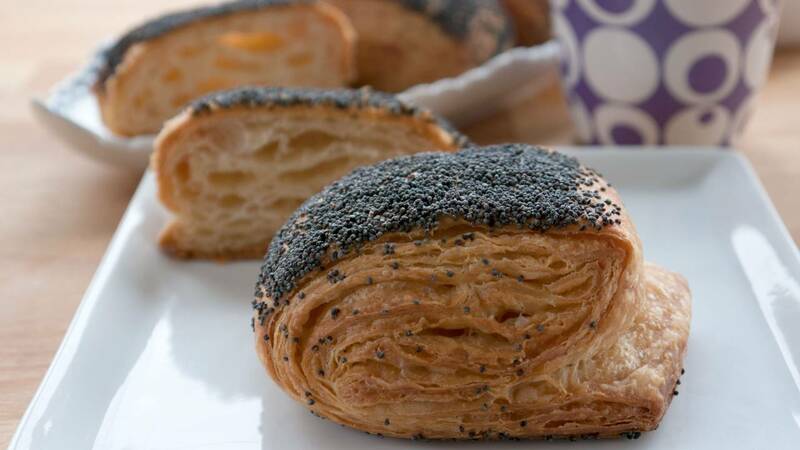 Brush with egg wash, sprinkle generously with poppy seeds. Let them rise and Bake. Just like the Copenhagen poppies above.